The Fall is the perfect time for surrendering what no longer serves us. Like the Autumn leaves, we too can shed limiting beliefs, unhealthy patterns, energetic clutter, addictions and begin anew. It’s the season to review life and identify opportunities to release in order to redirect energy in more aligned ways. The season of Fall gracefully models how to surrender and let go of what has served its purpose. Well, humans are not quite as evolved on the practice of letting go. We are a little bit more clingy. Seems we are much more inclined to hold on to addictions, relationships, habits, people, jobs, stuff, stories, grudges and identities LONG after a natural timeline or healthy dynamic has passed. We just take a little longer, ignore signs and often have to feel immense pain, or even are forced to let go, before we will surrender and even then it is still a struggle. Humans are just a little more adverse to change. It’s ok though, we can do it. We also feel the waves of emotion that surface when something is ending and there is certainly nothing wrong with that. It is natural for emotions and grief to surface when we are closing chapters. It is normal and necessary, so just honor it. In this reflection time, extract the lessons learned so you don’t have to keep repeating painful patterns in the next chapter. Allow the rest to be mulched. By “The REST” I mean pain, resentment, wounds, regret and disappointments. It is also really valuable to celebrate the blessings and gifts received from past experiences. Perhaps in the process of letting go, we can learn from nature, be gentle with ourselves and allow transitions to happen gracefully over time. The trees sense the changing environment and begin to adapt slowly by sending less energy to the leaves. Over time, the leaves drop to the forest floor, so that energy can be directed to root repair, new growth and rejuvenation. The shed leaves are recycled, composted to give the tree new minerals and fuel future growth. 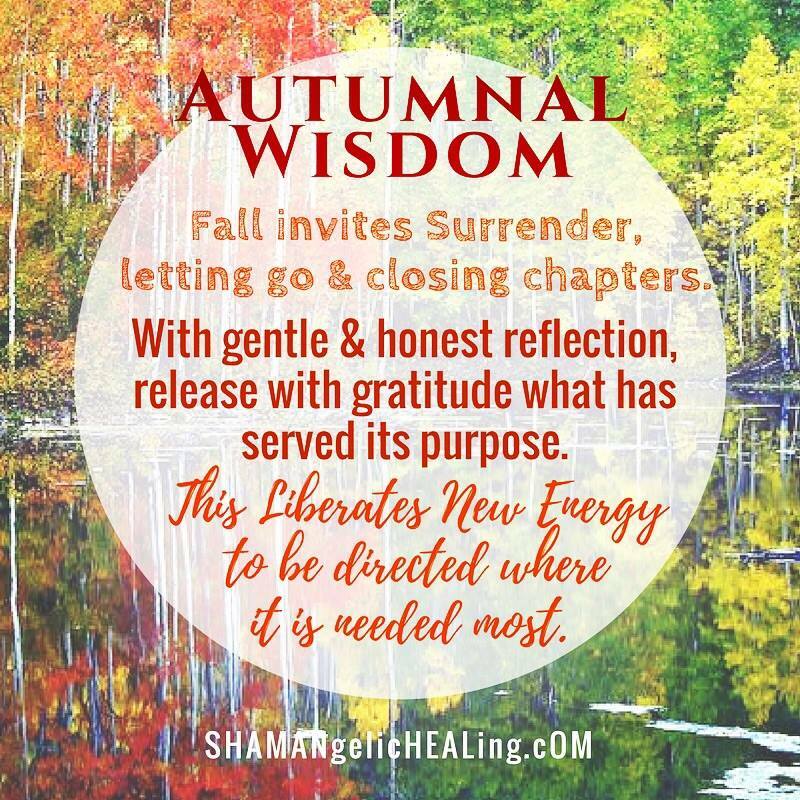 Fall is an ideal time to follow the seasonal changes and review different parts of our life and practice gentle release and surrender of what is no longer serving. When chapters close, it liberates energy to be directed to rejuvenation, repair and new beginnings. So let’s take a look a gentle yet honest inventory of some of the main areas of life to see what may be prime for release this Fall. Then take some simple action steps to bring everything back into harmony. 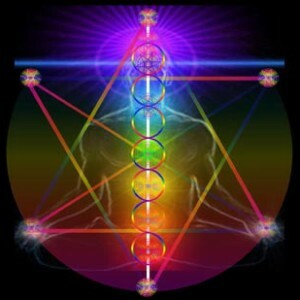 Your health is the foundation for the other aspects of our life so let’s see what is going on with the body. Have you gotten into any ruts with unhealthy habits or substances? Been overindulging in unhealthy foods or substances? Spending too much time on social media, electronics or TV? Are you getting consistent sleep? 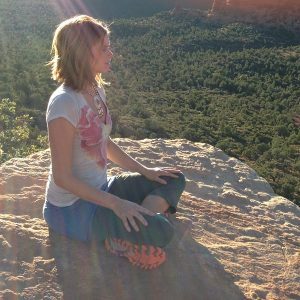 Ignoring signals from your body such as pain, energy shifts or weight changes? This is a great time to give the body what it needs such as rest, detoxification, circulation, hydration or a break from certain choices that may be depleting you. When relationships are out of balance, that pulls on everything else in your life. How are your closest relationships personally and professionally? Anyone you have been neglecting? Are there any issues that you have been avoiding addressing? Is there any clearing, forgiveness or apologies that need to be expressed? Are there any shifts that need to occur in the agreements or structures of any relationship so it remains in a healthy dynamic? Unresolved emotions will pull on your energy. So, how are you feeling? Are there any emotions you have been stuffing or ignoring? Is there anything you have not yet completely grieved? Are you holding resentment or disappointment about any situation? Allow in support if you are having challenges releasing any intense emotions or healing deep wounds. YES… that happens to be my specialty! When the mind is chaotic, then life will be chaotic. Let’s see what is going on in your head. Are your recent thoughts consumed with fear and overwhelm? Is your internal dialogue critical or negative? Are you worried or stressed about something? Perhaps it’s time for a mind makeover. Treat yourself to mind calming experiences such a float tank, meditation, massage, bath, spa etc. Spiritual connection provides peace, support, guidance and perspective. Are you feeling disconnected or alone lately? Feeling directionless at times? Have your ignored your spiritual practices? If you don’t have any spiritual practices, are you open to exploring different practices to see what feels right for you? Thank you for taking this time for a little life review. I am doing this process too. It is a time of great change externally, so correspondingly necessary for inner change as well. Breathe through it with me. I know it is challenging to let go sometimes of habits or situations that have become too familiar, but trust me, the liberation on the other side feels so great! You will also be able to have more energy and time to invest in your dreams and passions. Know that I am right here to guide you. Reach out if you need a helping hand through this process. 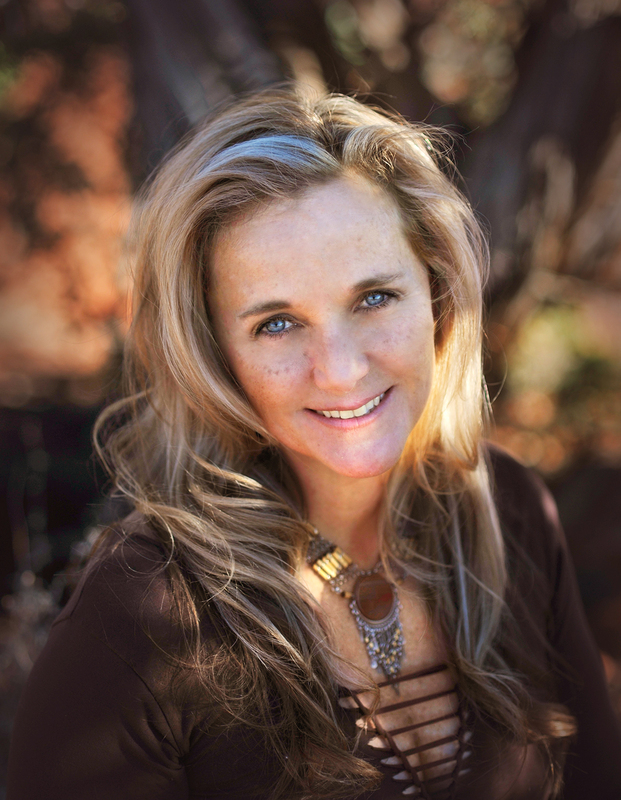 I can support you with private sessions, online courses, group retreats and full body cleansing/life detox programs.